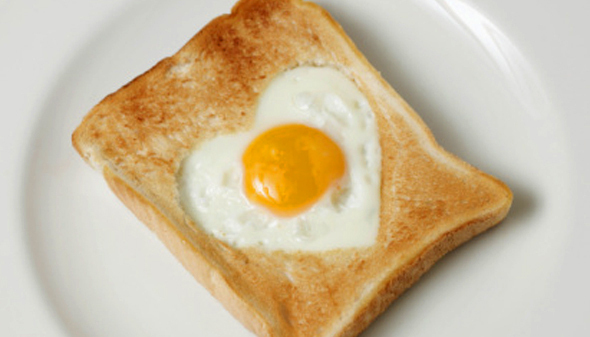 February is National Hot Breakfast Month. May is also National Egg Month. Kick start your day with one of these hot breakfast recipes! Egg White and Vegetable Frittata, Turkey Quiche or Egg in a Basket anyone? Spray a skillet with unflavored cooking spray. Add mushrooms and sauté over medium heat until tender. Stir in thyme and minced garlic cook for 30 seconds, and set aside. Spray each side of diet bread with 2 ½ squirts of I Can’t Believe It's Not Butter Spray. Lightly spray another skillet with unflavored cooking spray. Add the bread, pour the egg beaters and mushroom mixture into the hole in the bread and cook over low heat for 5 minutes, flip the bread and cook the other side until egg mixture is done.